The medical kit for injuries by fire is made of ABS plastics and comes with a wall retainer. The bandaging material is suitable for first aid. Its aluminium evaporation avoids adhesion to the wound. 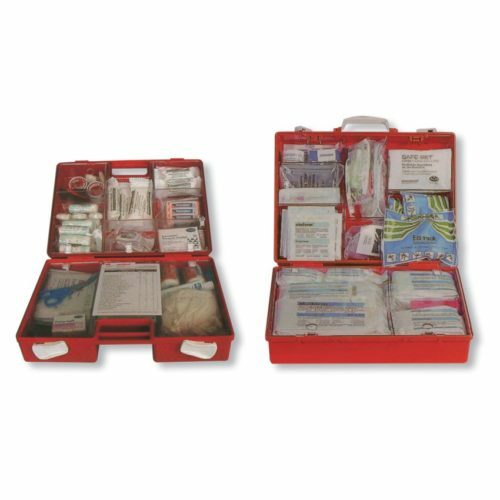 The first aid box is equipped with a carrying handle for mobile use. The kit comprises all necessary tools for first aid of up to 5 persons according to NORM Z1020.